The best choice for chocolates,fudge, candy and confections. Satisfy that sweet tooth! 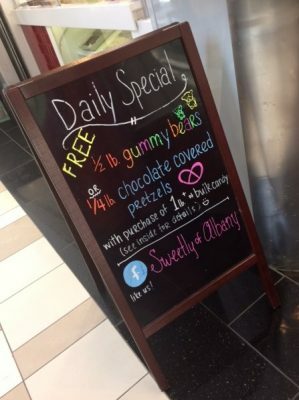 Receive a 1/2 lb of gummy bears or 1/4 lb of chocolate covered pretzels when you buy a pound of candy or more at Sweetly! !